Who Will Be The Superfood Hero? Turn your next grocery store visit into an exciting game for your kids! 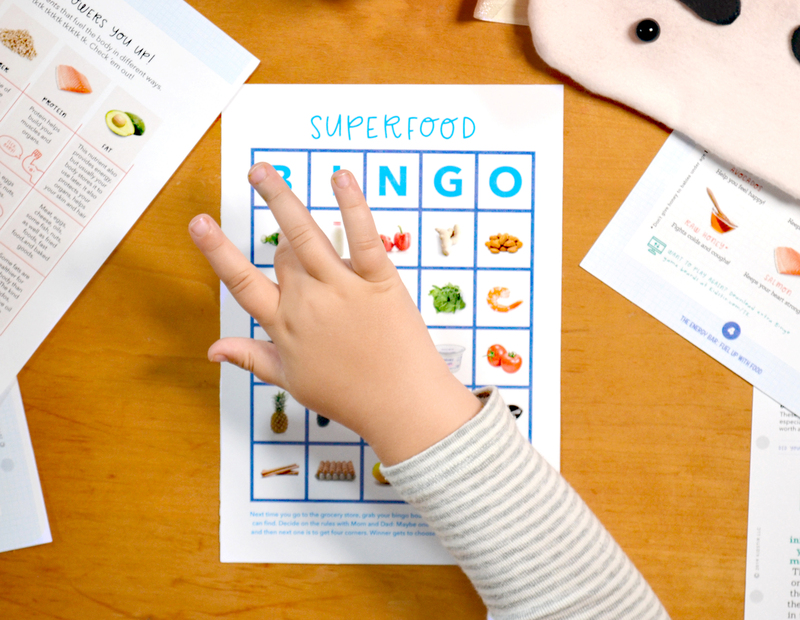 Download and print our Superfood Bingo Boards, give everyone a pencil, and then let the hunt begin. Just remember to decide on the rules before you go. Will the winner need to get five in a row? An X shape? Outer square? First person to call Bingo! gets to choose a new superfood for the family to try.